One of Canada’s major construction companies needed specialist advice after it was awarded a contract to build a new bridge near Vancouver. The bridge, to be built by Kiewet, was designed to relieve traffic pressures in the port city of Coquitlam by providing a crossing across the Pitt River. Crucial to completing the project on time and on budget was the ability to keep the footings of the structure dry throughout the installation of the bridge column. This needed a very specific approach – a fully automatic solids handling pump that could run round the clock for more than a month, with no guarantee that there would always be enough water to fill it. Because of the complexity of the project, Kiewet had drawn a blank in finding a solution and went to the local Selwood distributor, DiPerk Canada, part of Finning International, to seek help. DiPerk had previously purchased a Selwood S100 pump, and after consultation with our experts in the UK were able to advise on how it could be used for this project – guaranteeing that the pump would perform for the duration of the job. DiPerk’s local staff, trained by Selwood, were also able to provide on-site preventative maintenance which was not available from competitors. 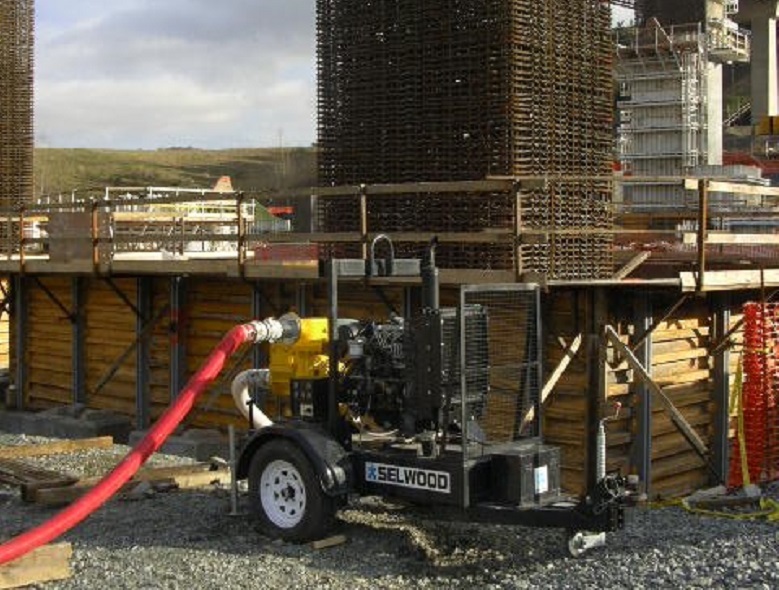 The Selwood pump ran for 771 continuous hours – more than 32 days – keeping the footings free of water and enabling Kiewet to finish the job without incident. Kiewet now regularly returns to DiPerk to rent Selwood pumps.